Free Download for This Book Here! Sign Up for More Free Books Here! Marsha Lyons and April Kelly were debate team partners at Colonial High School in Orlando and roomies at The University of South Florida, before Marsha went to law school on a mission and April went to Hollywood on a whim. While Marsha’s career includes teaching at the FBI Academy at Quantico, becoming the youngest Assistant U.S. Attorney in Miami, and going into private legal practice, April’s began in stand-up comedy, moved into writing on shows like Mork & Mindy and Webster, then to producing her own shows like Boy Meets World. 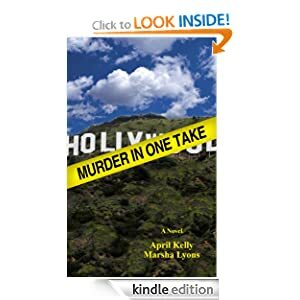 Throughout their wildly different professional lives Marsha and April have remained best friends, finally deciding to put their separate talents together to write a show-biz crime novel, MURDER IN ONE TAKE, their debut as a team. Marsha is married with children, and April is single with dogs. Do you dream of being an author? You enjoy writing, but don't think of yourself as a real writer. Stop thinking that way! Everyone has a book in them, but only a few actually write a book. It's not as daunting a task as you may think. Only desire is required. Writing nonfiction is a good place to start. Nonfiction is easier to research and organize than fiction. 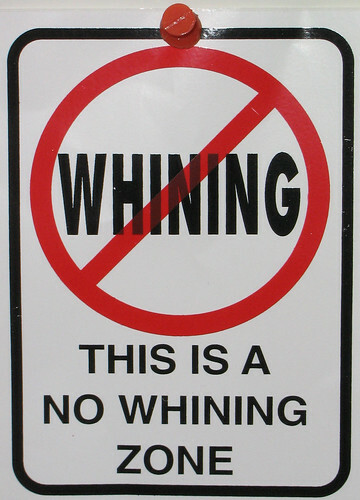 You don't have to worry about characters, dialogue, conflicts, etc. How-to books are a good example. If you're an avid fisherman who knows all the secrets of fishing in the Northwest, you have a book. Are you a cook with extensive knowledge of Cajun cuisine? Write a book of recipes with Cajun cooking secrets. Are you the consummate discount shopper in a big city? Are you the neighborhood pet expert? These are all subjects people want to learn about. There is something you know and already love doing that other people want to know. "I don't have any time!" If you really want to write a book, it can be done. It's a matter of priorities. Set aside a time each day that you can devote to write. Talk to your family, and let them know you'd really like to give this a shot. You may be surprised to find how supportive they are. Even if you find you need to get up an hour earlier or skip the weekly sitcom, you can choose to set aside time to write. If you set a goal of three pages per day, you'll have a book in three months! Commit to an amount of time and pages per day, and you will write a book. I. Introduction – You need not pay retail. Organized by category ... food, restaurants, clothing, shoes, baby stores, interior decorating, linens, garden items. Tell your reader what they'll gain by reading your book. ... and so on. Just sort out the areas you want to cover. If you find your knowledge is not comprehensive, research on the net! If you want to write a book, the information you need is out there! Begin your work from your outline. What are you passionate about today? Pick a topic from your outline and start writing. No need for an anxiety attack when you begin. Just look over your outline, and whatever reaches out and grabs you, start writing. You'll gain inspiration and confidence. Write every day. "The Great Gatsby has been getting a lot of attention lately with the success of the latest movie adaptation ($51 million the first weekend, according to Forbes). The book itself is a staple of American literature and is considered by many to be a contender for the title of one of the most iconic American novels of all time. It is currently the second-best selling book in the US. This year so far, people have purchased 185,000 copies of the eBook alone. Interestingly, this book that has such a marked place in American literature and history and that has influenced so many millions of people worldwide came from a unique source. F. Scott Fitzgerald, author of The Great Gatsby, suffered from a learning difficulty, most likely dyslexia."